Blackmagic Design today announced that the public beta of DaVinci Resolve 12, its professional editing and color correction software, is now available for download from the Blackmagic Design website.In addition, Blackmagic Design today announced new naming for the DaVinci Resolve product line, plus extra “secret” features that were not included in the original launch and are being publicly disclosed for the first time today. The new DaVinci Resolve 12 is the software’s biggest update ever and includes powerful new features, making it both the world’s most powerful editing system as well as the world’s most advanced color grading system. The DaVinci Resolve 12 Public Beta will allow customers to start testing and integrating it into their facilities, and will provide us with valuable feedback that will greatly assist us in finishing development so we can launch an extremely reliable and robust product. DaVinci Resolve customers have been extremely generous with their feedback and advice in the past, and we are excited to let them get their “hands dirty” using this release so we can collaborate with them to make it perfect. Without the DaVinci Resolve community behind it, DaVinci Resolve 12 would not have been possible and Blackmagic Design is extremely grateful for their assistance. We hope they will be proud of the hard work the engineering teams has put into this release. With this public beta, the DaVinci Resolve product line has also been renamed to better reflect the models of DaVinci Resolve available. The free DaVinci Resolve Lite will now be renamed to just DaVinci Resolve. This is because there is nothing “lite” about the free version as it includes more features than any other product. DaVinci Resolve is a complete professional editing and color grading solution for individual editors working on SD, HD and Ultra HD projects. We hope that once customers become established with DaVinci Resolve 12 and start generating income from their creative work, they can upgrade to the extremely powerful DaVinci Resolve Studio for $995. By upgrading, engineering for DaVinci Resolve can continue to be expanded so customers will get even more features in the future. Upgrading is the DaVinci Resolve community’s way of ensuring they get the new features they need, as it pays for the engineering for DaVinci Resolve. Blackmagic Design believes this “free and paid upgrade” model is vastly superior to the “cloud” model for distributing software products because customers get to take control of their systems. With this free and paid upgrade model, customers never have to worry about a system going down in the middle of a job, on set or when used remotely, because a license suddenly expires. With DaVinci Resolve, there is no license to expire and, if the worst should happen, a customer can get DaVinci Resolve working on a system immediately by downloading the free version in minutes. DaVinci Resolve 12 also includes new features that have not been previously announced until today. 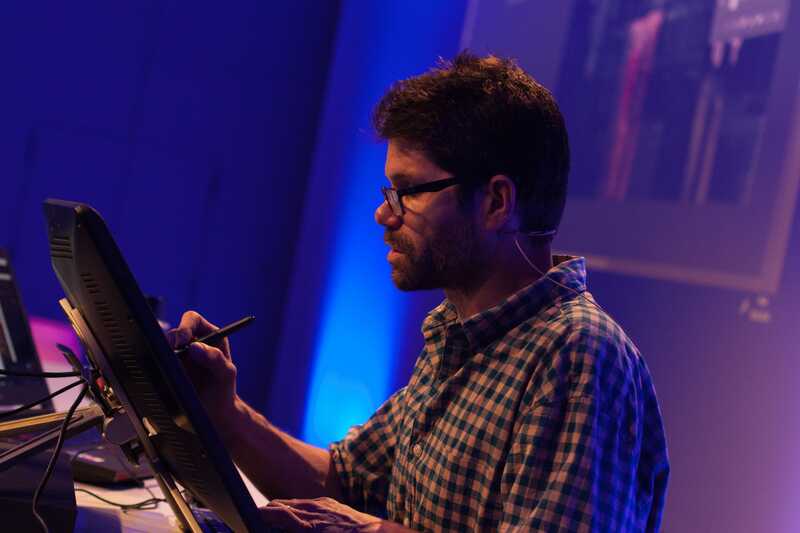 This includes new support for Intel Iris and Iris Pro GPUs. This is a major update that required significant engineering work to complete. Support for Intel Iris and Iris Pro GPUs dramatically improves performance on a wider range of systems, including laptops. This will greatly assist editors and colorists who are working remotely and on-set. With the explosion of customers working with high resolution media and native RAW camera files, DaVinci Resolve 12 can now create optimized media proxies with custom settings for both the codec and resolution for even faster editorial performance. 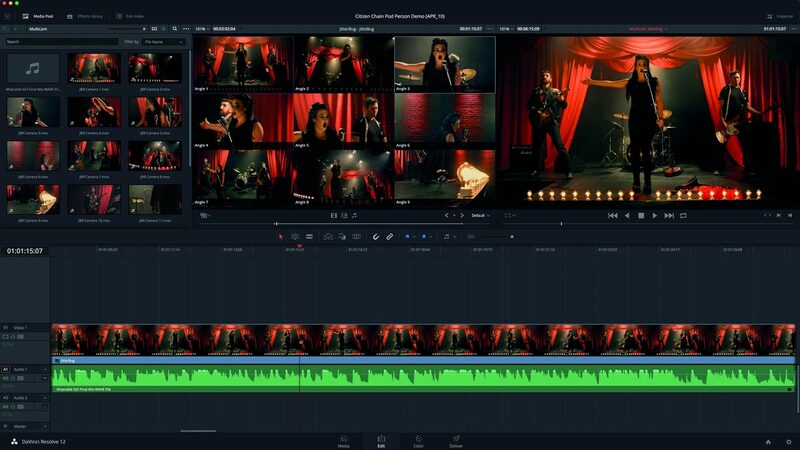 DaVinci Resolve 12 features a new, modern interface with a lighter overall color scheme and new fonts that help reduce eye strain and make it easier to work for long sessions. 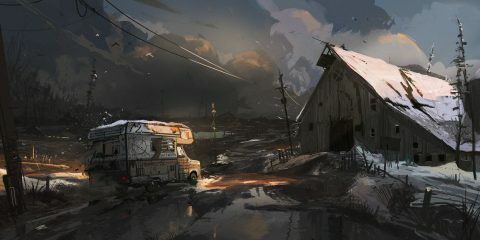 The new interface is scalable and has been designed to look great on high DPI monitors, such as retina displays. New top down navigation speeds up layout selections and also gives users more flexibility to customize their workspace. The new multi-camera editing feature of DaVinci Resolve 12 lets editors cut programs from multiple sources in real time. DaVinci Resolve 12 can synchronize camera angles based on timecode, audio waveforms, or in/out points. The source monitor displays a grid containing the camera angles and plays them all back in sync while the editor makes cuts to the audio and/or video. 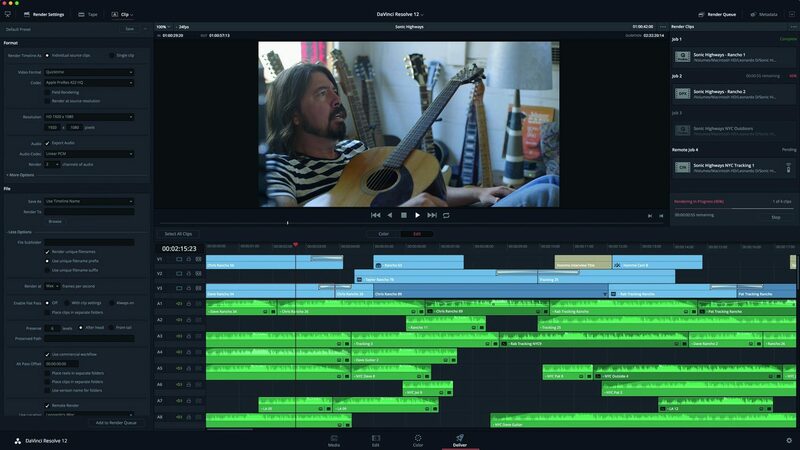 DaVinci Resolve 12 includes an entirely new, high performance audio engine that offers higher sampling rates and greatly improved realtime audio playback performance, including reverse playback and tape style slow motion scrubbing during dynamic JKL trimming. Both VST and AU audio plug-ins, along with their custom interfaces, are now supported and can be used on individual clips or entire tracks. Audio parameter adjustments can be recorded and now contain editable automation and full curve editor support. For the first time, editors will be able to export projects directly to ProTools via AAF for audio finishing. 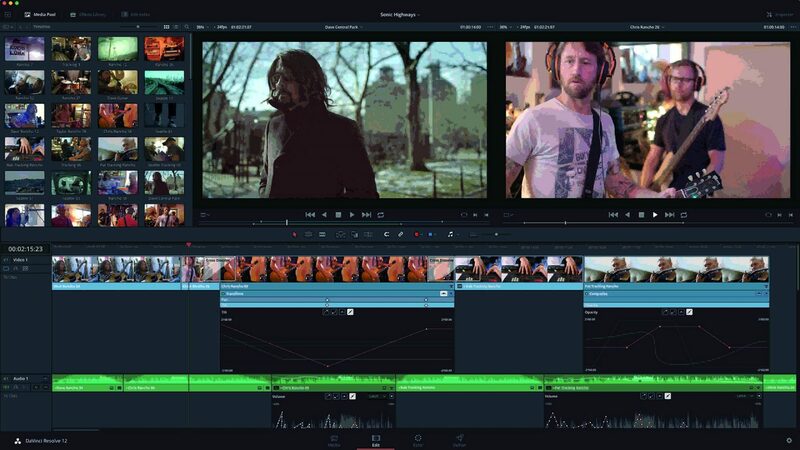 Media Management in DaVinci Resolve 12 has been redesigned to accommodate editorial workflows. Customers can now manage projects and media using new copy, move, transcode, relink and consolidate tools. Whole projects, including media can be archived and restored with ease. Resolve 12 makes it easier to find media in large projects by letting users create smart bins that can display footage based on metadata tags. Users can now import media by simply dragging it in from the Finder or Windows Explorer, or by using new “Favorites” for one click access to commonly used media folders on disk. 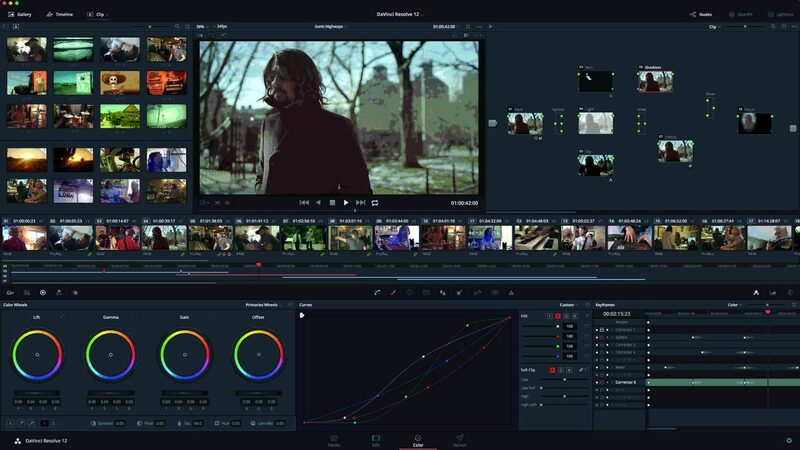 The core grading and color correction tools have also been improved with a new, easier to use curves interface, automatic color analysis and matching between two or more clips, an incredibly accurate 3D perspective tracker, and a new 3D keyer with improved matte finesse options. 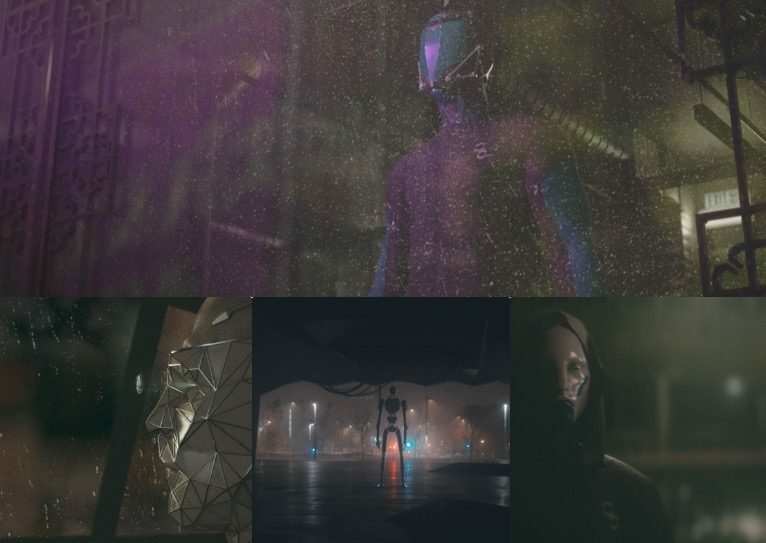 Colorists can now define their own smart filters, convert any window to a bezier, collapse multiple nodes into compound nodes to simplify their view, ripple grades across multiple clips, and flatten pre and post-group grades into a clip’s individual grade. DaVinci Resolve 12 also now supports remote rendering so customers working in larger facilities can distribute rendering jobs to other Resolve systems that are on the same shared database and shared storage.